This is not a Hawaii related entry. The images of two pages below are from the US Mint (as you can see, Frank Gasparro has signed and dated the upper right on the first page). 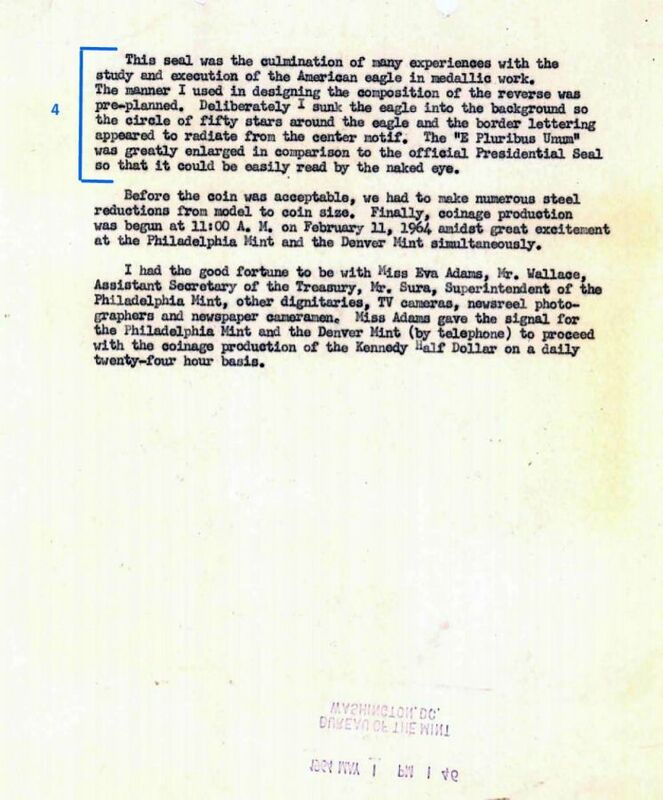 Item 1 and 2 in the document - Calls out US Mint's Presidential inaugural medal design (obverse and reverse) are to be used on the proposed half dollar. Note: For proper visualization, I added a image of the reverse in this blog. 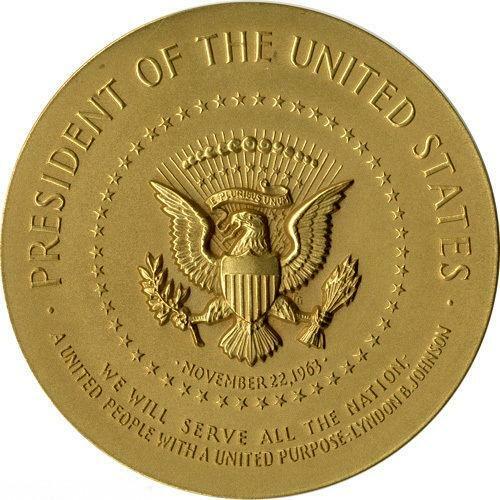 The presidential seal is in a reduced state. Item 4 in the document (2nd page) - Explains his many experiences and techniques he implemented in the reverse design. 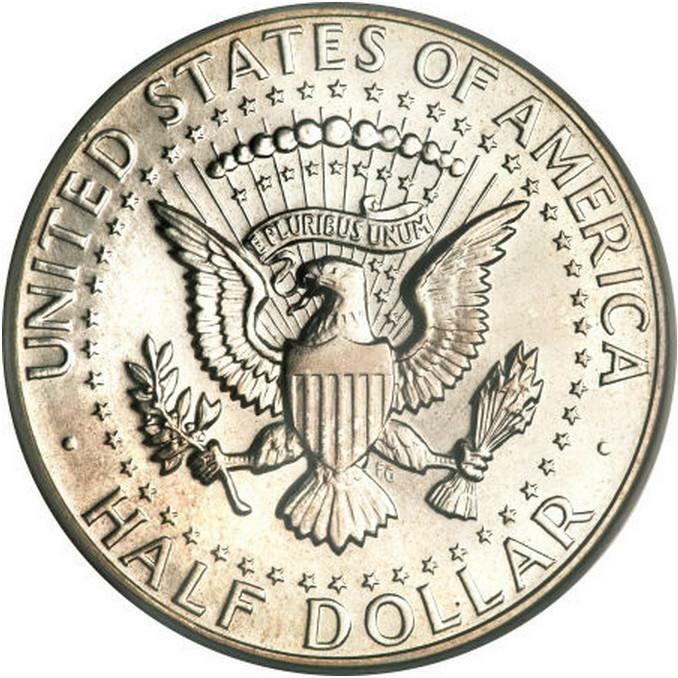 Conclusion: There was no way that the US Mint's Presidential inaugural medal design was the primary source for the reverse design of the Kennedy half dollar (as many half dollar collectors believe). 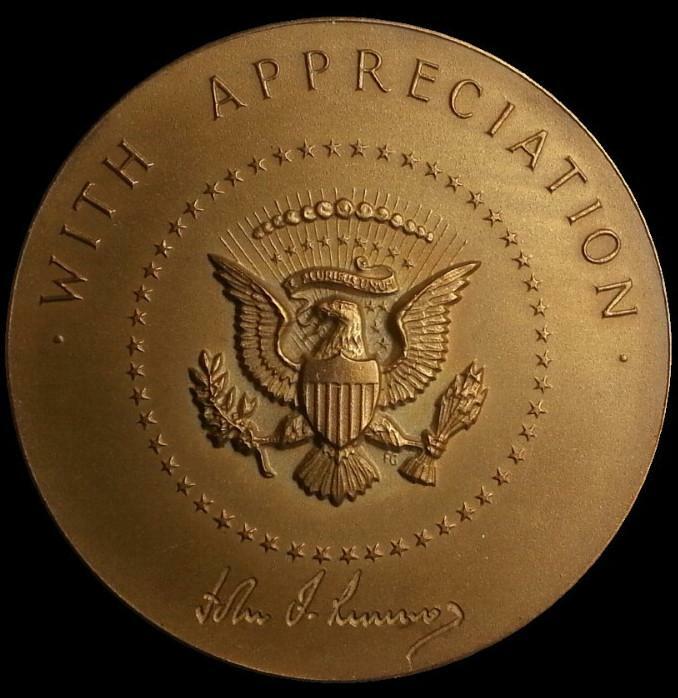 Frank Gasparro indicated that "This seal was the culmination of many experiences with the study and execution of the American eagle in medallic work", which means he worked on the presidential seal before as a primary design element. 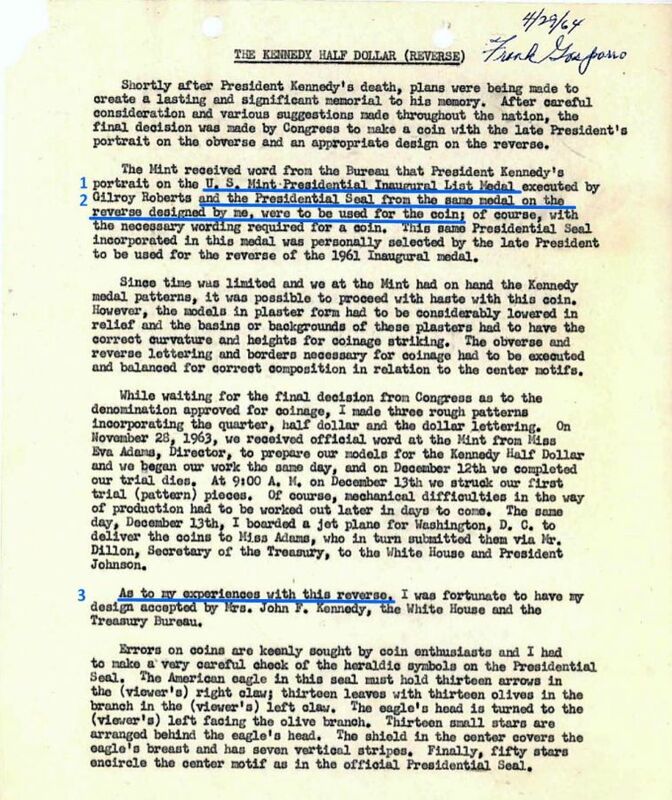 It just happens that the Class 5 Kennedy POTUS sGm has a large presidential seal with the placement of his "FG" initials similarly located (under the right leg of the eagle) on both the Class 5 Kennedy POTUS sGm and Kennedy half dollar. 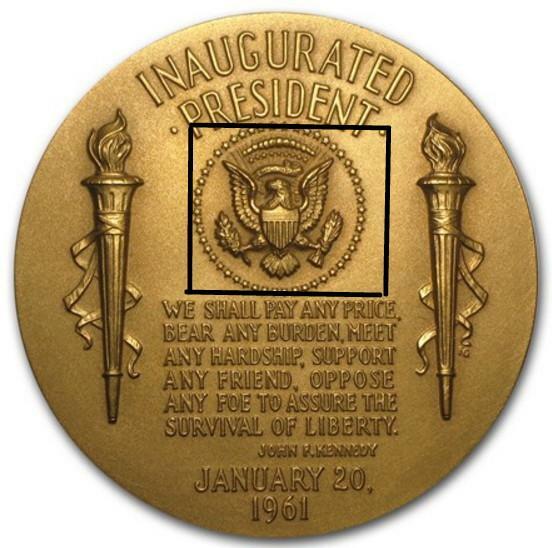 And just to bring out another point, the US Mint's President Johnson inaugural medal design features another presidential seal by Frank Gasparro (this time his "FG" initials is above the right leg of the eagle).